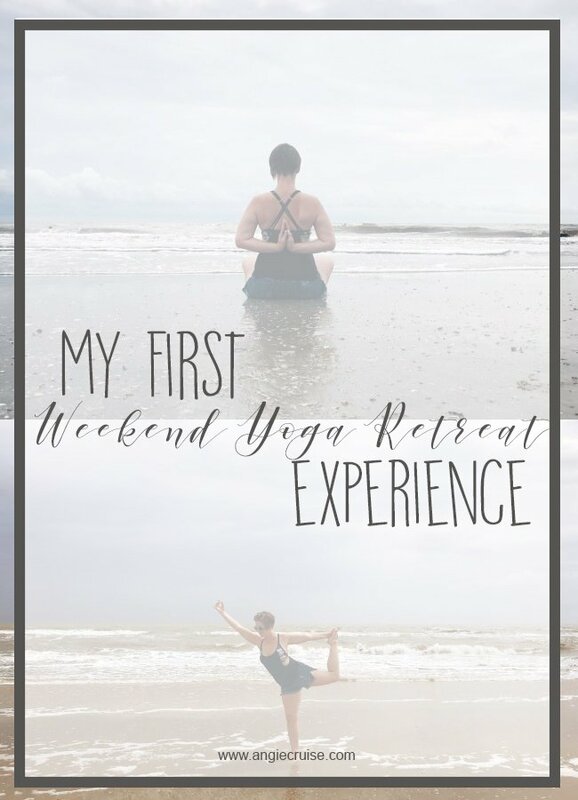 Last weekend, I had the pleasure of attending my first ever weekend yoga retreat. It’s something I’ve wanted to do for a couple of years now, and I wanted to share the experience. When my friend Melody announced that she was hosting her first ever retreat, I knew it was time to go for it and commit. First of all, I knew I’d feel totally comfortable and confident with a good friend in charge. Second of all, it was time. 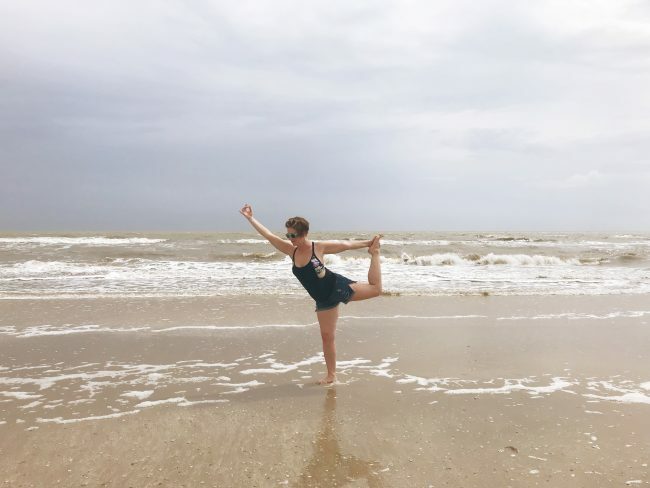 I’ve spent 6 months healing from a back injury, and knew I was finally strong enough and able enough for a yoga weekend. I was so nervous going into it, because I had no idea what to expect. Would I be able to do everything? What if we didn’t all get along? It turns out, I really had nothing to fear. The weekend was incredible, and so inclusive. All of the participants ranged in age and skill level, so even not being at my peak of fitness, I felt right at home. From the moment we got there, Melody went out of her way to make the whole experience memorable. First, we got a cute little SWAG bag, which I absolutely wasn’t expecting. I don’t know if that’s naive of me. I guess I haven’t been to many events like this, but I was pleasantly surprised by it! 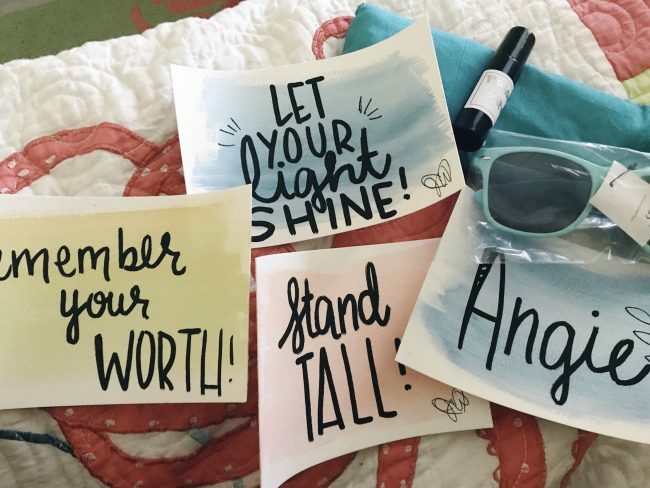 It included some uplifing cards from Jill Waldrep, a local artist, some branded sunglasses, an essential oil roller (filled with Young Living oils! ), and a hand-made lavender eye-pillow- perfect for savasanah! We started out the weekend with an intention setting meditation. My intention was to be present, learn from the experience, and grow through it. 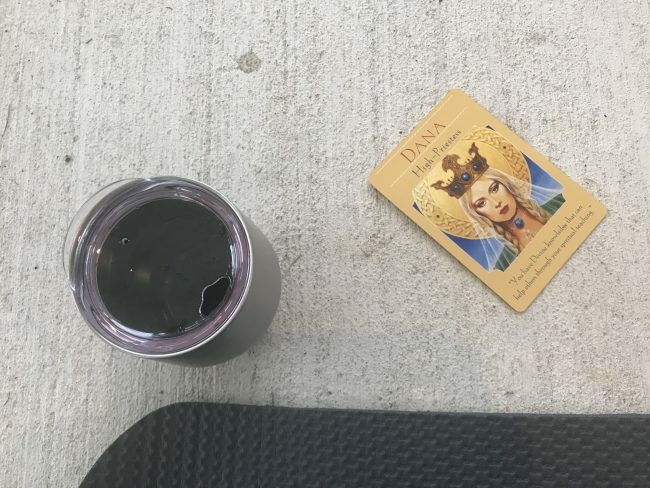 Melody also had us draw Goddess cards as an inspiration for our meditation, and I feel like mine was just perfect! The underlying message? The recommendation from this card was to write books or articles (hello..), host a workshop, look for opportunities to teach, be a role model, and know that you are a leader. This was the first time I’ve ever done a card drawing like this. It’s suprising how much it spoke to me! Saturday was our day to work. We started the morning with a mini mala to greet the autumn equinox. If you’re unfamiliar, a mini-mala is 36 sun salutations, and takes approximately 45 minutes to complete. The last time I did this was during my physical therapy. I’d just been given permission to start practicing again, and went into it knowing I might not finish. I did finish, but it was really hard work and I almost quit several times. This practice really showed me the difference 6 months of practice can make. While it was still hard work (it always will be), it was much more doable than it was in the spring. During the day Saturday, we spent some time out at the beach and had a fun little photo shoot. 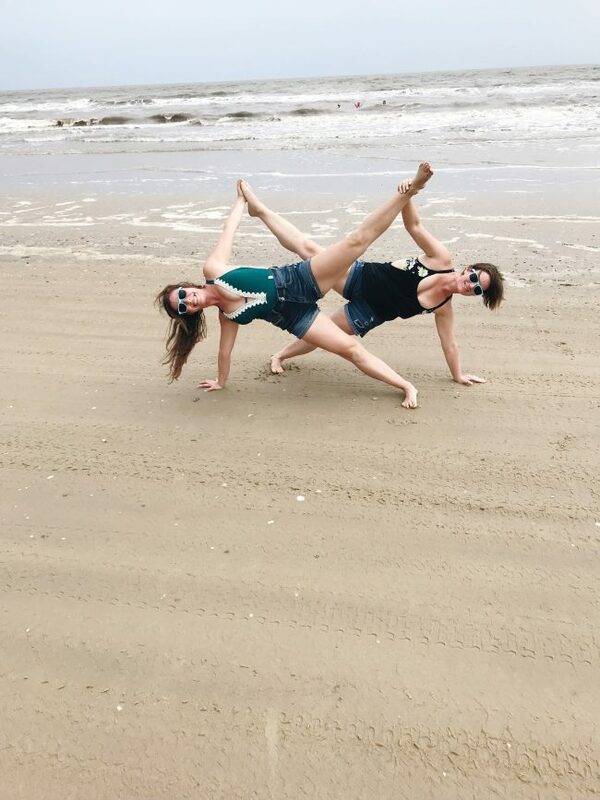 Ya’ll know me and my yoga pictures! Just looking at them makes me feel more strong and confident, and seeing the skill progression is a huge motivator. Saturday night is when it got real for me, though. It’s the practice that reminded me to be patient. To trust the process. I’m still not 100% healed, and it was incredibly evident during this practice. I went into the weekend knowing there would be a few struggles, and this was my first encounter. Honestly, I almost quit, ya’ll. I got frustrated. I just don’t have the kind of strength and mobility in my hips yet to do everything I want to do. This practice just made it more evident. But, I looked over at my friend next to me and could see the struggle on her face, too. She wasn’t quitting, and that look encouraged me to keep going. I finished that practice and was reminded of how far I’ve come. It was my chance to learn from the experience and be patient with myself. After such an intense day on Saturday, Sunday was all about self-care. We woke up late and had a nice restorative practice on the beach. All of the stretching and stability felt so good after a day of hard work. Once we were done, we went back to the cabin to enjoy an amazing brunch, complete with a full Bloody Mary bar. Can ya’ll believe I’d never had one until then?! I arrived home later that day exhausted but fulfilled. There were a few frustrations I had to deal with over the course of the weekend, but I feel like they gave me a better opportunity to grow. I learned that you don’t have to be in perfect shape to enjoy a yoga weekend. You don’t have to be anything except who you are. Boy, did this weekend experience bring me a huge reminder of that message. 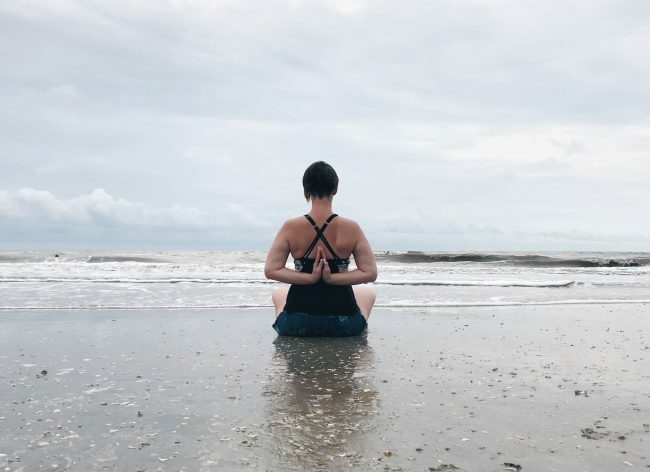 If you’ve ever thought of trying yoga, or attending a yoga retreat, I can’t recommend it enough. It’ll be the best thing you ever do for yourself!